Hd = dfilt.farrowfd(D, COEFFS) Constructs a discrete-time fractional delay Farrow filter with COEFFS coefficients and D delay. Farrow filters can be designed with the dfilt.farrowfd filter designer. 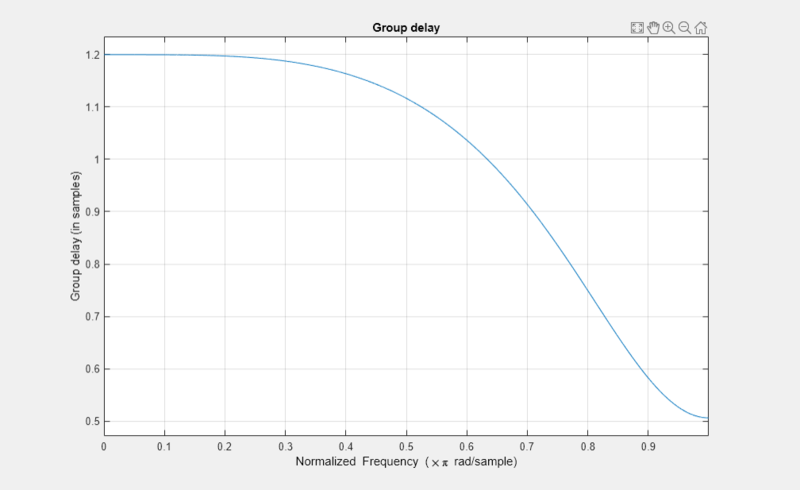 Design a cubic fractional delay filter with the Lagrange method. For more information about fractional delay filter implementations, see the "Fractional Delay Filters Using Farrow Structures" example, farrowdemo.